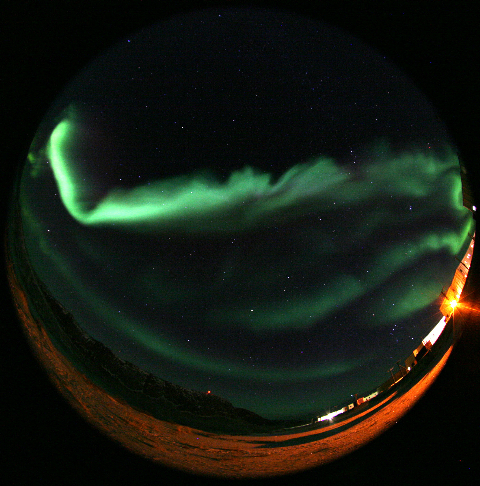 We had the most amazing northern lights a couple of nights ago! All I could say was “wow!” They almost filled the sky, dancing and wriggling… and now I have a new list: 30 words for Northern Lights! They were the kind of northern lights that if you’re driving, you have to pull over or you’ll hit the ditch trying to look at them. They were life changing! I really wish I had a picture to show you, but none of mine turned out. I was completely transfixed when they were at their peak, and by the time I got my camera, they were fading. And I was in a hurry, which never makes for good photos… and I kept wishing for a fisheye lens! So, I leave you with this one, found on this webpage, which is similar to what we saw (except the lights we had covered more of the sky).